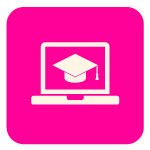 Online programs to accrue your required 90 hours of lactation-focused education hours. Get a FREE sample assignment from our all-online 90-hour Core Concepts course. Can't travel? Get your 90 hours of lactation education online and become a Certified Clinical Lactationist™. This is the first unit to purchase if you are paying for the Core Concepts 90 Course by unit. This is the second unit to purchase if you are paying for the Core Concepts 90 Course by unit. This is the third unit to purchase if you are paying for the Core Concepts 90 Course by unit. This is the fourth unit to purchase if you are paying for the Core Concepts 90 Course by unit. Do you have 45 of your 90 lactation-specific education hours already? Do you want to step up to the IBCLC credential? You're just a few clicks away from your goal! International Board of Lactation Consultant Examiners.